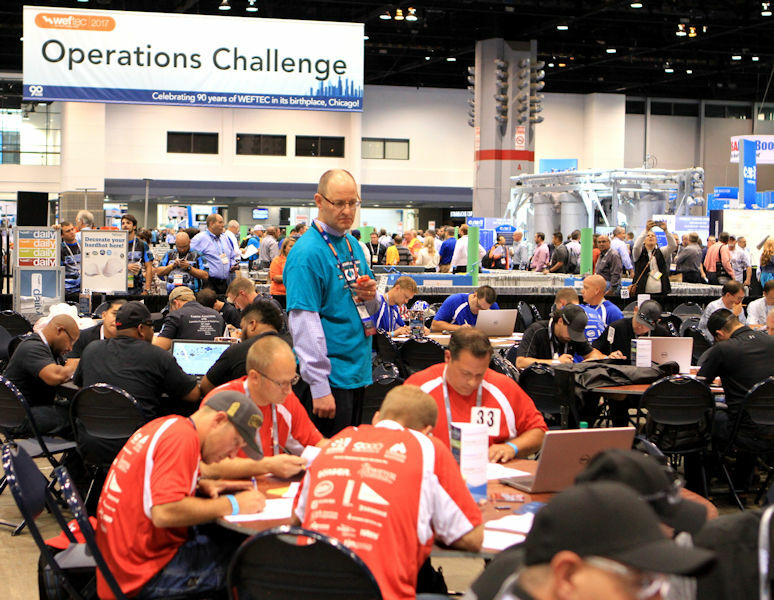 Paul Dombrowski, a 2017 Water Environment Federation (WEF; Alexandria, Va.) Fellow, helps organize and judge the process control event during Operations Challenge at WEFTEC 2017. Photo courtesy of Michael Spring. Growing up in the northeast U.S., Paul Dombrowski had two dreams: sail alongside Jacques Cousteau, studying the ocean while advocating for environmental protection, and play for the Boston Red Sox. While Dombrowski, a 28-year member of Water Environment Federation (WEF; Alexandria, Va.) may not have made the National Baseball Hall of Fame, his decades-long career as an expert in wastewater-facility design and operation earned him a place among the 2017 class of WEF Fellows. This designation recognizes outstanding contributions to the water profession by WEF members. During his career, Dombrowski has overseen the design, construction, and evaluation of facility upgrades exceeding a cumulative $750 million in value and led operator training classes totaling more than 200 classroom hours. He started in the water sector with a position at Graves Engineering (Worcester, Mass. ), went on to work at Tighe & Bond (Westfield, Mass. ), and now serves as chief technologist for environmental consulting firm Woodard and Curran (Enfield, Conn.) after success in numerous other positions. 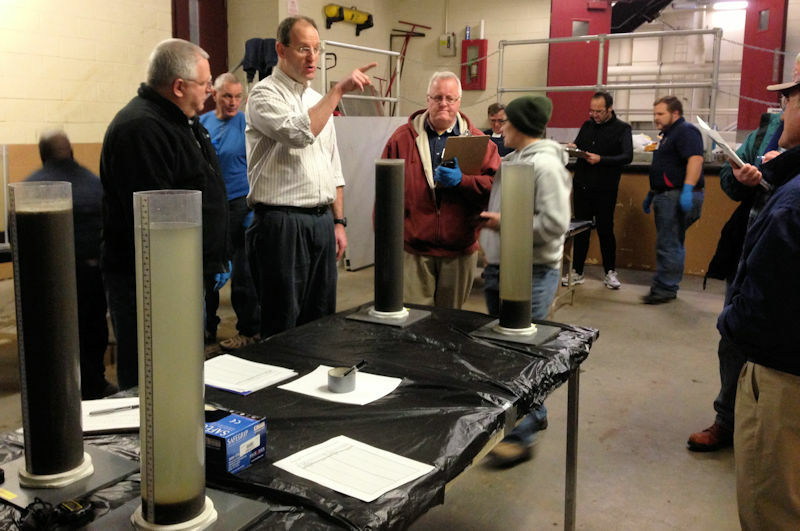 Dombrowski, who has led more than 50 training courses, instructs operators in Portland, Maine, on clarifier testing. Photo courtesy of Richard Darling. As his career progressed, Dombrowski gradually established himself as a leading authority on the design and operation of advanced nutrient removal and wet-weather treatment systems, publishing several papers that advanced how the sector approaches facility performance and operation. He also has conducted training sessions for operators on behalf of various public and private organizations. 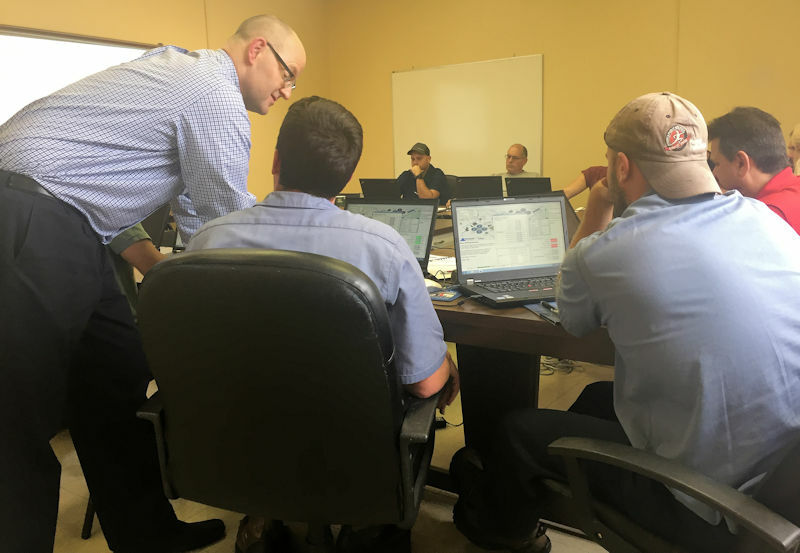 During an operator course in Norwich, Conn., Dombrowski serves as a mentor by helping students solve a biological nutrient removal simulator exercise. Photo courtesy of Jennifer Lichtensteiger. 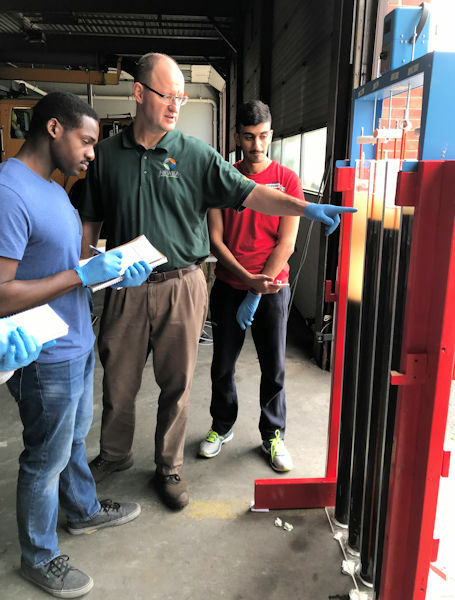 Among Dombrowski’s students and colleagues, he has built a reputation not only for his technical proficiency, but also for his deep investment in preparing the next generation of wastewater operators and engineers. 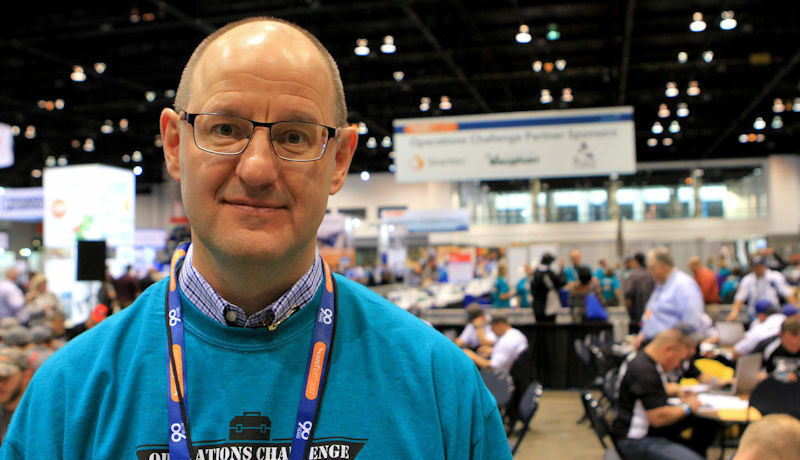 In WEF Fellow nomination letters, water professionals described the thoroughness of Dombrowski’s operator training curricula and the extra-mile effort he undertakes to give his students hands-on experiences. Dombrowski credits professional organizations such as WEF and the New England Water Environment Association with connecting him to early mentors and he now serves as a mentor for others. Photo courtesy of Spring. Since joining WEF and the New England Water Environment Association (NEWEA) in 1990, Dombrowski has served in various volunteer leadership roles. He has coordinated the Process Control Event for the Operations Challenge competition on both the NEWEA-organized, state-level and the WEF-organized, national-level. He also has lent his expertise to WEF as an author and editor of six Manuals of Practice. For NEWEA, Dombrowski has chaired committees for facility operations and operator recognition, introduced new awards, expanded facility tours and technical sessions at NEWEA conferences, and revitalized an operator exchange program. He also served as NEWEA director-at-large from 2008 through 2011. Dombrowski’s efforts earned him WEF’s Phillip F. Morgan Operational Solutions Award, and NEWEA’s Alfred E. Peloquin Award for excellence in operations. Dombrowski attributes his success, in part, to his active participation in WEF and other water-sector associations. After being introduced to NEWEA by advisor Jim O’Shaughnessy while an engineering student at Worcester (Mass.) Polytechnic Institute, Dombrowski found a community of mentors who shared his goal of protecting public health and the environment. Dombrowski advises a group of undergraduate environmental engineering students from the University of Hartford (Conn.) at a water resource recovery facility in Chicopee, Mass. Photo courtesy of Susan Guswa. Even after nearly three decades, Dombrowski says he still is learning from his colleagues. He frequently encourages young wastewater operators and engineers to get involved with WEF and other professional organizations as early as possible.